The Mouse Connection: Minnie and Minnie Method Soap - a fun touch! Minnie and Minnie Method Soap - a fun touch! So, you guys know I love all things Mickey....no surprise there! People often assume that my home is overflowing with the latest and greatest Disney collectibles and decor. But surprise...hardly a Mickey in site. My few items of Disney "stuff" is confined to my little corner of my office. I display all of my trading pins on a bulletin board, and I have some photos, and posters around, but that is really the extent of it. As we were wandering the aisles of Target this week stocking up on school supplies we wandered over to the hand sanitizer (gotta send a big tub o' that stuff!) and as I was putting a few vats of it in the shopping cart I hear squeals of delight followed by "Oh, Mommy!!! PLEASE!!!" It sounded odd because they never ask for things in stores - they are fanatically trying to save their money (and ours!) 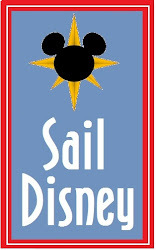 for a Disney Cruise this spring. Extremely curious as to what had them so excited and willing to actually spend money, I went over to investigate. 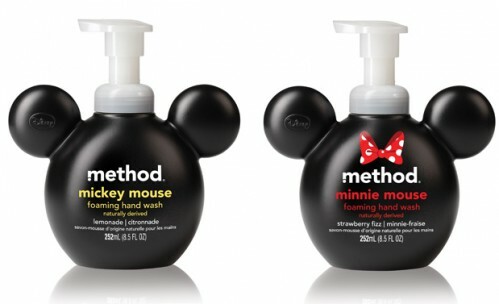 They had found the cutest bottle of Micky and Minnie hand soap from Method. At only $3.89 it was absolutely going home with us. Minnie now sits proudly in their bathroom. Preliminary studies indicate that children in my home are much more likely to wash their hands if they get to use the cute Minnie Mouse soap. Who knew?!? Perhaps I should make Minnie disappear until cold and flu season is in full swing. I saw them there but I didn't like the way they smelled! The bottles are super cute, though. I did not even smell them in the store, so I just went into the kids' bathroom to check it out. We have the Minnie/Strawberry one. It smells like super sweet strawberry. The smell does not linger long after you wash. But is is definately a kid fragrance! 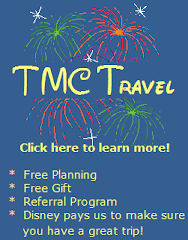 Hey Mom & Dad...It is your vacation, too!